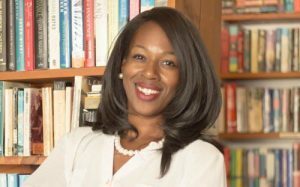 Quick Wins interview with Alicia Ingram, book editor and ghostwriter, discusses how consultants and aspiring authors thinking about writing a book can begin the process even with a busy, demanding work schedule. 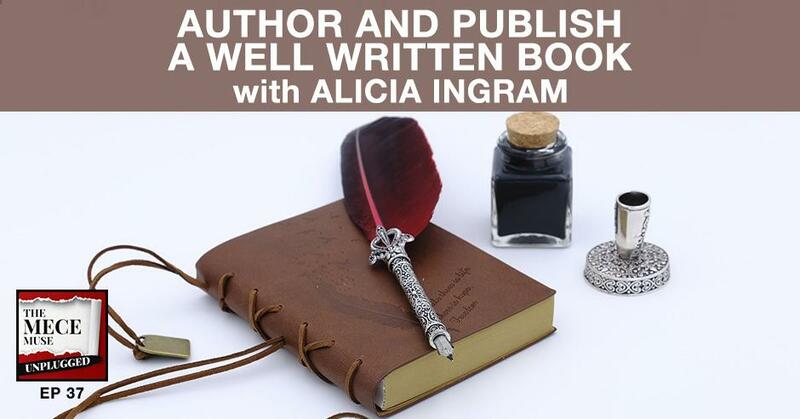 Alicia shares tips and strategies on the book editing process, how to decide whether to self-publish vs. going through a traditional publishing house, while Christie shares examples of her journey authoring her first book while working a full time consulting job. We’re going to be doing a Quick Wins interview. 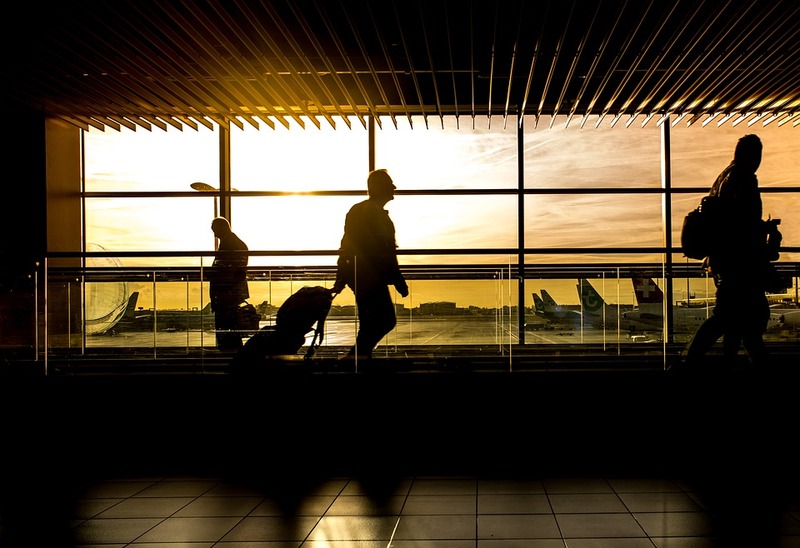 If this is your first time tuning in, Quick Wins are when I have the utmost pleasure of connecting with individuals, discussing products, ideas, or services to help round out your consulting toolkit. Our guest is Alicia Ingram. She is a ghost writer as well as a book editor. Alicia is one of the editors that helped me with my book, The MECE Muse. In interview, we get a chance to connect and talk more about the writing process, the publishing process for go getters out there that are aspiring authors or maybe in the throes of writing their first book. I share more insights in terms of the journey that I took with my first book, The MECE Muse. Alicia and I are teaming up. We’re going to offer you the best of both worlds. If you sign up for our webpage, you’ll be able to start getting free resources, information and tips on how to write a book. We’re excited to be partnering together, bringing some good insights to you. We hope to be able to connect with you in the future. 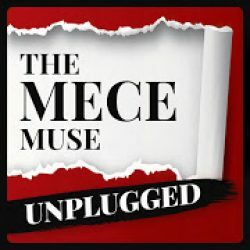 Alicia, thank you so much for joining us on The MECE Muse Unplugged. How are you doing? I’m doing well. Thank you so much for having me. What part of the world are you currently sitting in right now? I am currently in Chicago. Alicia, maybe you can take a moment and introduce yourself to the go-getters of The MECE Muse Unplugged. First of all, I want to say congratulations on a successful book launch. I’ve been seeing so many great things about us. I want to first congratulate you on all of your current and future success. I’m a ghost writer and book editor. I specialize in non-fiction books as well as memoirs, helping aspiring authors start and finish their books. I’m a big advocate of people sharing their knowledge, sharing their expertise, not just getting it out there, writing a book for the sake of writing a book, but writing a powerful book. I’m pretty much as far as helping aspiring authors get their books done and get them done well. If you’ve picked up a copy of The MECE Muse: 100+ Selected Practices, Unwritten Rules, and Habits of Great Consultants, Alicia’s one of the editors of the book. Working with her helped me take the book from good to great. I’m super excited that she’s joined us and she’s going to help you all not only write a book, but write a well written book, which is such a great way to say it because she does just that. Maybe you can share how did you get started in the world of book editing and ghostwriting? I started off as far as a certain type of writing style, then about halfway through my undergrad I picked up a second major, journalism. It was a process of learning to write a different style. My arguments were strong, the stories are strong, but then I would have to take these big words, these complicated ideas and simplify them, and then put them in a small paragraph for journalism writing style. It taught me a unique skill set to navigate between audiences, taking someone’s thoughts and simplifying them when needed as far as elaborating or making them more complex when needed. He asked me to edit the last few chapters of a fiction book. I’m a writer so I figure, “Why not?” It was a good story, and I just loved editing as far as making a good story even better. I fell in love with just editing APP. Editing other people’s work came naturally. From there, working with executives who had stories beyond just brochure or beyond just the speech, I fell into enjoying and writing and editing books for other people. It’s something that evolved over time. As I begun specializing in strictly just books, it’s been falling deeper and deeper into my passion. When you started out as the book editing piece and you said it came natural, how did you decide to also delve into ghost writing or did it happen simultaneously? Always. With a marketing and public relations background, you’re always ghost writing those amazing speeches, with the exception of maybe our former President Obama. Most of those awesome speeches are done by speech writers. A lot of times, we hear the responses in a news interview. Those have been scripted. Something that I’ve always done for other people, particularly when it comes to book, the difference is we’re just going more in-depth, outlining the book before we write. It encompasses the same skills of journalism, which is you’re gathering information. 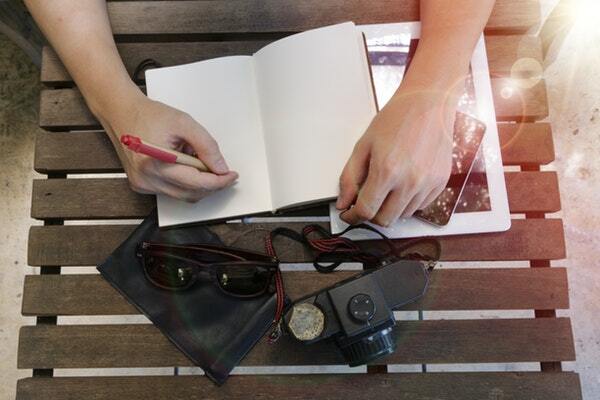 You’re helping people to organize their thoughts in order to tell a comprehensive story. Publish A Well-Written Book: With ghostwriting, you’re helping people to organize their thoughts in order to tell a comprehensive story. I just completed my first three year journey of my first book. As a result of that, I have a lot of people asking me a lot of different questions. I can only share from my experience, but I thought this would be a good conversation to have with an expert like yourself. You’ve seen a lot of different works, literary works, and have more experience in this space. One of the questions that I’ve constantly gotten, especially over the last six months, is how does one decide whether to self-publish their books or to go with a publishing house? Any particular thoughts you have on that? I’m a fan of self-publishing or even a hybrid publisher. That’s when you still have quite a bit of content control. A hybrid publisher, you share the cost of publishing, so they may help with the editing and taking care of the type setting. You still may pay them or be responsible for the marketing of your book. Here’s why as far as with self-publishing particularly, you have more flexibility as far as getting into different audiences. When we go with a traditional publisher, first of all, you have to sell your book to a publishing house which could be hiring a literary agent who will get a cut of the book sales. For them to shop it around, right now with traditional publishing, as far as a publisher front and all the costs with especially an unknown author. When you’re a well-known politician or celebrity, the game’s a bit different. If you’re an unknown author with your first book coming out, you don’t have a track record. It’s not impossible, but it is more difficult and it takes a lot more time. With self-publishing, you can write whatever you want. You don’t have to worry about the editorial team changing it against your will. You decide what you want to keep and what you want to take from the editor as far as their feedback. Then you’d have a lot more flexibility as far as how you want to market it. I’ve worked with a lot of clients as far as who gone to the self-publishing route. I have a lot of colleagues that are self-published and they’ve actually had more success and more. The money’s been going with a traditional publisher. I would agree, particularly on the creative control. I know that was one of the main reasons that I chose the self-publishing route. I came across a quote in a book called Influence by Warren Cass. In the book, it gave us a startling statistics. It said, “Research shows that over 85% of people in business would like to write a book, yet only 5% actually do it.” I found that so surprising. It feels like everyone around me are authors or they’re in the throes of becoming an author, so I was just very surprised by that statistic. What is your reaction when you hear that, Alicia, from your standpoint? I have mixed feelings. I’m surprised the number is that low, but I’m not surprised that is low. I mentioned a lot of times that I’m a ghost writer and book editor. I always hear, let’s say about 97% top, “I have a book that I’ve been thinking about or I’ve been meaning to write,” and they’ve had this book sitting in their head for at least ten years, some people twenty years. A lot of people want to write books. A lot of people think that they have a book inside of them, and it’s true. However, there’s a certain motivation of individuals who write books and those ideas. When you get clear on that, when you’ve gotten very clear as far as what you’re going to do, that’s when you develop the discipline to actually write a book. Authors are still very much revered because not everyone can write and can write good books. Everyone wants to be a millionaire too, but you still have quite a small number of millionaires, because of the discipline that it takes. The determination that it takes to write a book is, first of all, about your mindset. Are you ready to make an investment of the time, as well as the money, as well as going through that whole process? Writing a book is work. As an editor, even as a writing coach, it can become easier. It doesn’t have to be one of those drudgery type of work, but it still requires effort about pushing yourself to get your thoughts clear and communicating in long form with a particular audience. I’m not surprised a lot of people think it sounds like a good idea, but to actually get in there and do the work is a certain caliber of people who are motivated. They’re clear about what they’re doing and why. When you said about people walking around with a book, I was that person too. I had the book on my heart for at least ten years. I thought about it and then I finally decided to do something about it three years ago. I’m a busy professional and the way that I was able to do it is that I just started writing. I didn’t and I don’t know if that was the right thing to do, that’s actually my next question for you, but I know for me, I just started writing every day. I took an hour a day and I wrote whatever came to mind. Some days, that meant I had a paragraph and some days I had pages of work, but I just made it a habit to write every day. I could have done it a little smarter probably, but that was the way that I got through that first push. For people who are busy professionals, consultants, what other advice would you give them to get started if they’ve been walking around with a book in their head? The first thing is you have the book idea. You have to make a firm decision with yourself. Sometimes, it just presses on your heart so much and like, “That’s it.” Sometimes I do things where it’s just like you almost get fed up with yourself and say, “I’m going to do this,” or you decide you’re not going to then you let it go. You need to think about the choice. Are you going to do it or not? And Once you decide if that’s a “yes, I’m going to do it,” then you need to put the systems and structures in place to get it done. Like we did, you started creating a habit. People have different processes for writing their books, particularly that first book. I coached people through as far as a smarter process. There’s nothing wrong with other processes of just starting to write. Part of the process that I work with is we start with the organizing your thoughts or we start with getting your mindset right, and then start to organize your thoughts. That writing phase is when you start developing these habits, these systems or structures, that accountability. It sounds like you held yourself accountable to, “I’m sitting down, I’m writing,” but having that schedule even. I encourage those who know they have to get this finished and they know that as far as just the habit of writing is not developed to have an accountability team in place. As the writing coach, I’m one of several accountability partners. Part about writing, even if you’re a non-writer, is you have to develop because writing itself is a skill that develops over time. Even as a writer myself, I had a time period where I just said, “Every day I’m writing something. How can I coach others and not do it?”Something happens in that phase as far as in that discipline. Some you had some great writing. I’m sure you have some not so great writing as well, but you have to do that. That habit is part of the process. Earlier you mentioned not only just writing a book but writing a well-written book. I love that tagline because it’s so spot on. What is your definition of a well-written book? This is where I think your editor or your editing team comes in because a well-written book to me is one that one, your thoughts organize. I think some people just start writing. They create a first draft and say, “I’m getting ready to go to publishing,” which I’ll be the one yelling, “Do not do it. Do not do it at all because it takes several versions. I’m curious to know how many versions you went through yourself? The first thing is a difference between just a book. You’ve seen those self-publishing books that are riddled with typos. It’s the least of the problem which is bad because it makes it difficult for your audience even keep re, but also when you see more of a free flowing stream of consciousness type of book that it makes it difficult again for the reader to follow to grasp ideals. A well-written book is one that is organized to start with. Also, when I say well written, I think of it as a very long movie. The movie is going to be boring or held a long, drawn-out story. You may fall asleep. You might just turn the movie off altogether. Think of this as a story that you’re unfolding and a relationship that you’re building with audience and a journey of a book, you want to write with not only clarity, but also make it vivid. That’s what I teach as well and that’s what I edit, really small techniques that you learn as you write to keep a story engaging, to keep a story vivid. That’s a well written book. You mentioned about people writing the iteration, and then they’re credited for publishing. How do you know when it’s time for an editor? That’s how my line of practice has evolved a little bit too. A lot of people would come to me with their first drafts, or even their second drafts and I can tell right away it didn’t need editing , it needed a complete rewrite because they did not start from step one, which was organizing their thoughts even before that. Sometimes they may have several books folded into one. That process of getting clear first makes a difference. That’s when you may not need an editor, but you may need a writing coach. One thing for my service, I just start incorporating as a coach with getting clear before you start getting your thoughts organized. 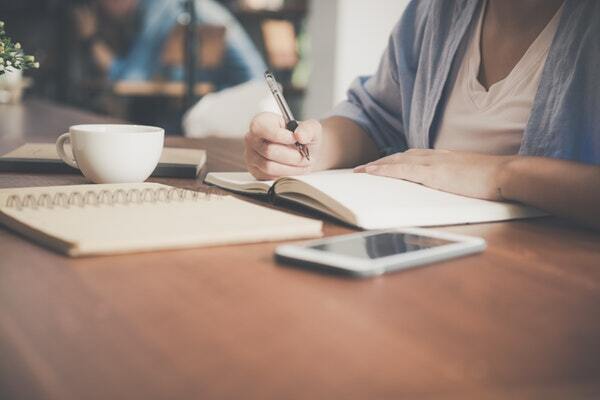 I help with a book outline, first and foremost, so those who are ready to take their idea into an actual book but they’re not sure where to start, that’s when you could use an editor to help you get clear on your thoughts before you start writing. If you have a draft and you want to get feedback. You and I, you were at a different phase. You’re at the editing phase. I’m looking for more of the content critiques. I wasn’t looking at the technical but more overall content quality. I’m going to advocate that at different phases, depending on who you are, you can have the editor at the beginning or you can have it at the end. The important thing is that you speak with the editor. When you have an editor, you have, as far as someone along the way helping you get clear on what you’re writing about, particularly getting clear your audience, helping you figure out who are you speaking to, why are you doing this. People have different writing styles, but it’s never too soon to get an editor. Publish A Well-Written Book: At different phases, depending on who you are, you can have the editor at the beginning or you can have it at the end. You asked me how many iterations I went through. I was thinking like suddenly a good year to go through the publishing process, I must’ve at least 30 full iterations. That first draft that I thought I was done, I had been writing for two years by that point and I thought it was done. Looking back, that was such crap. That’s a part of the journey. You have to be committed to the entire process because 30 sounds like a very reasonable number. 30 sounds like an editor’s. I typically go about two to three rounds of that. You had as far as who did the work to make it really good. I’m reading through your vital and I can still see it’s still a totally different book. I was really excited, which is great to see as far as the feedback incorporated into the book. I could tell you did take it to the next level with that, and that’s what it’s about when you’re writing a book. You’re really committed to it being good one. Even though I read it now, I feel I could’ve gone through another four or five iterations. It will always feel like that. It feels like it was good enough to publish, but a part of me was like, “If I had just said this or I had taken this out.” The other question is, which I’m sure a lot of consultants who have analysis paralysis like I do, when do you know it’s good enough? What is that fine line between, “This is ready to ship and send out,” versus “This needs to go through a couple more.”How do you make those distinctions? When you put deadlines in place, that helps as far as knowing like, “By this day I’m going to publish,” but you still have your team to tell you, “Is this quality?”that early feedback not only from your editor, but also I’m a fan of Beta readers. Beta readers are those who are going to tell you yay or nay. Is this a good quality? At one point you have decide to pull the trigger and ship, particularly when, “I’m done.” The proofreading is ready to go to the proofreader, but your editor can help you with that, letting you know, “Let it go.”That’s what second editions and our third editions are for. I remember when I realized this was going to be good when I read the book and I was proud of it. For me, that was the thing when I was like, “I felt confident that this is what I wanted to say.” If individuals are interested in your services or want to get a hold of you, what are some ways that they can connect with you? They can go to my website which is www.WordSmithWonder.com. They can first sign up for the five tips to finally getting your book done, which will help them prepare for a conversation. There’s a little pop up box need in there email address. I’ll send you the information and then also to contact me. We’ll have a get your book done strategy session where we can outline as far as where you’re at with your book. Are you in the first phase or the close to final phase? From there, I recommend based on what your needs are, here are my services that will be best fit for where you are right now. Sometimes, it’s mindset work as far as let’s get your thoughts clear on what you’re doing. Why are you writing this book? Again, some of the best books come from a source of passion and purpose. Those are my favorite clients. This is something not to do as a money-making venture, but something as far as you have information that you need to get out. Some people as far as having a passion, it’s getting clear on what’s going to keep you going when life happens. Other people are at a point where they’ve done the work, they have a manuscript, it’s close to ready, and are in need of editor to polish the publication. Give them the overall feedback on the quality. Fix the technical stuff and get ready for a proofreader. It’s different phases of where you are in that work with aspiring authors and those different phases. Thank you so much for taking time to connect with the go-getters, Alicia. I know we’re going to be working on a lot of projects together. I look forward to working with you. You’ve just done such an awesome job with the content of your book. I’m looking forward to working with you as well. The great thing is to encourage even more authors to share what they know and share passionately, so thank you again for having me. Thank you and thank you my go-getters. This is Christie Lindor signing out for The MECE Muse Unplugged pop-up podcast. Here’s to your journey to greatness. Since I was a kid, I’ve loved reading all kinds of books. From fiction and self-help books to psychology and romance — you name it, I read it. So it’s not surprising that as I grew older, I enjoyed writing as well. It came naturally. Over the years, I’ve refined my writing skills as a published poet, journalist, technical writer and corporate communications specialist. As a longtime marketing consultant, I helped executives launch their products and services. Together, we developed compelling messages that resonated with their target audiences. Often, once we finished the sales copy or speech, there was more information to share. It wasn’t just about a product or service, we were telling a story about the vision, the experiences and personal values that sparked such endeavors. Merging my passion for carefully crafted stories with the ability to creatively organize and package large amounts of information, I began writing and editing books. As a creative soul and skilled wordsmith, my joy is helping you inform, empower and inspire others with words.